Lining up at DT Fleming Beach on race morning we were treated to rough conditions. The surf had been relatively calm throughout the week but as usual for Xterra, race day brought a big swell with some solid waves breaking right on the shore. The swim is an M pattern from right to left (which follows the general drift of water down the beach). I lined up on the right hand side to counter this and had a great start, definitely my best at a World Champs race. I was quick off the line and first out through the breaking waves, leading for the first hundred or so metres before a few swimmers came around me. I wasn’t concerned with this as I was able to get on their feet and find my rhythm. After the first out and back (750m) I was safely in the first group. Over the second lap the group split quite dramatically and bigger time gaps were forming. I felt ok but didn’t feel like I was able to really push to hold onto the top swimmers feet. I came out of the water in a group between 10th-15th, around 1.20 down on the lead swimmer and ready to get to work on the bike. The key word for the bike is climbing. Straight away you are into your work, climbing from the beach. Because of the conditions, the race director decided to put us up old golf cart paths for the first climb so we didn’t have to climb up the muddy singletrack early. This was a very good decision and I was able to ride my way into the top 10 with Francois Carloni quickly. I felt decent early on but knew I had to save my matches for later on in the ride and the run. While I felt OK, I didn’t feel like I had the best legs and I wasn’t able to really push myself. I hovered around 8th-10th for the first two thirds of the ride, before losing quite a bit of time in the last 20-30 mins of the ride. Usually this part of the course is a strength of mine with tight twisting singletrack and pinchy climbs, but unfortunately I had to stop 5+ times ( I actually lost count) to clear mud from my derailleur and between my rear wheel and frame otherwise I could only ride in my smallest gear and my wheel would literally not turn. The run was the same. So slippery that it was hard to stand up, let alone try and run on the twisty, steep and off-camber tracks, and a ‘flat’ feeling that I had all day. Early on I was in a tight battle for 11th-12th but I was able to pull away towards the top of the 5km climb. I pushed the downhill as much as I was able to, trying to make my way back into the top 10 but unfortunately the time gap was too big and I crossed the line in 11th. Reflecting on the race I’m both proud and disappointed with the result. Proud because I felt I did all I could to get myself on the start line as best prepared as I could, and disappointed because I wasn’t able to put it together on the day. But that’s triathlon. You work all season for a few important days, and sometimes it goes your way, and others it doesn’t. All you can do is take the lessons (both positive and negative) and use them for the next race. So for now (after a few weeks off training to get married) it’s back to work, using the lessons learned to come back as a stronger, better prepared athlete. Stay tuned for my 2019 race plans! Wow, Xterra Germany (2018 European Champs) was one hell of an event and race. I have been wanting to do this event ever since I was unable to race in 2013 due to illness. This year things lined up perfectly for me to make my return to Europe and race the European Champs. I travelled to Germany quite late, arriving a few days before the race which gave me enough time to check out the course, but late enough to finish off all my hard training before I left NZ. I had a smooth trip over, and apart from being knocked around by the effects of jet lag for a couple of days, was feeling good. After checking out the course with Brad Weiss, Sam Osborne and Roger Serrano (who would end up being 1st, 2nd and 3rd in that order) I was pretty happy about my chances and thought that it would suit me really well. The reason I travelled all this way for one race was to compete in a field that not only had the best athletes, but was also very deep. On race day there were close to 40 guys lining up. It is hard to get this sort of quality and depth in the Southern Hemisphere, and leading into the World Champs, I know I needed to experience racing against this sort of field. Coming from the NZ winter (and straight into a scorching European summer) I was a little worried about race day bringing high temperatures. In the days leading into the race it seemed like I was going to get my wish with weather predicted to be mid-twenties with cloud cover. It’s funny how things change as although I woke up to a cool morning, once I had racked my bike in transition the clouds disappeared and things heated up quickly. With an 11.30am start time, it also meant we would be racing right in the heat of the day. At 11.20am we were called to the starting box. The top 5 ranked male and female athletes were called up to select their starting position, but after that it was a free for all. The higher ranked athletes all chose a spot close to the ride side of the beach as it was definitely the fastest line to the first buoy (the swim course was two loops of a quadrilateral kite shaped course). This left the rest of us to be called up all fighting for a spot on the right hand side. This made for a pretty aggressive lining up situation and start of the race. I probably wasn’t aggressive enough to the first buoy and despite feeling like I was swimming ok, I was trapped in the second bunch. The rest of the swim was uneventful, exciting the water around 60 seconds down on the main front group with all the contenders. Luckily the group I was in had a couple of strong cyclists and early on in the bike I felt like we were riding well. After 10 minutes we had managed to catch a couple of stronger swimmers and reduce the size of our group down to five riders. I was feeling good and waiting until the main climb to put the pressure on. Unfortunately for me I had a really bad patch when we hit the climb and had to watch these guys ride away from me. For some reason my legs just didn’t have it, and despite feeling comfortable breathing, I just couldn’t go with them. I’m not going to lie, at this stage I was feeling pretty down as I felt the lead into this race had been the best I have ever had, and it was frustrating to watch these guys ride away. Things started to turn around soon after as although I wasn’t feeling the best, I was still catching a couple of the leaders out of the water. I got to the top of the climb in around 10th place and set about chasing the guys ahead of me on the descent. The downhills on this course are brutal, with sharp rocks causing three punctures on the pre-ride for Brad, Sam and Roger, so my plan was to ride reasonably cautiously. It seems everyone else was thinking the same thing as I was making up quite a bit of time when the track turned downhill. After 30 minutes of descents, flat gravel roads, and short sharp pinches I had made my way up to Sam and Francois Carloni who were riding in 4th and 5th. I heard things were pretty tight at the front of the field so I knew we had to keep pushing. We rode together into T2, and had closed the gap to 3rd to just 20 seconds. Onto the run and my legs felt a bit better than they did on the ride. I know Sam is one of the fastest runners in Xterra, and Francois can run as well, so I knew I would be in a battle for those 3rd – 6th spots. Sam pulled away early on in the run, but I was still moving quite well and caught and passed Maxim Chane who came off the bike in 3rd. I was now clear in 4th, and after 5km I was told that I was starting to pull time back to Roger who was in 2nd. I dug deep over the last 5km, but came up 3 seconds short of catching him, and ended up 4th (Sam had moved into 2nd with the fastest run of the day). It was pretty frustrating to come up short of the podium, but in retrospect I am happy with my performance considering the travel, and the fact I didn’t feel I had my best day. To tough it out and finish 4th in a European Champs is something I am quite proud of, and I am really looking forward to the Xterra World Champs in Maui on the 28th of October. I feel I am on the right track at the moment and am really excited to start my preparation for this race. A huge thanks must go to Craig Kirkwood and Henk Gruepink for all the work they have put in getting me to these races in great shape. All photos thanks to Carel Du Plessis. Most of you reading this will know that the early stages of this year didn't go how I had wanted. I didn't have a great race at Xterra New Zealand, and had terrible luck when I travelled overseas for Xterra Cebu in the Philippines and the Xterra Asia Pacific Champs in Langkawi, Malaysia, where I picked up a pretty aggressive stomach bug which left me unable to compete. I took a bit of time off after this trip and decided that for the rest of 2017 my focus would be on getting my strength and fitness to a higher level than I have ever had. That meant one thing for me: no overseas campaign racing. My goal would be to have on training and focusing on the important New Zealand races on the calendar. So over the winter season I focused on training, throwing in a few local races for a bit of fun and different stimulus. They went ok, winning a local duathlon, finishing 2nd in two, and 5th in the first Nduro Winter Series race. The results didn't worry me, all I was focusing on was the performance, and making sure I was progressing from race to race. Over the past few months I have seen a huge progression and decided that I would test myself at the Coromandel Classic to see exactly where I am at. I raced the Coromandel Classic last year and it's fair to say it smashed me. It's a tough two day race, and with close to 50km of running, it requires a lot of strength to get through. Going into this years race I felt I was much fitter than last time, and in the days leading up to the race I was excited about how I would perform after feeling pretty good in sessions. Despite being thrown a curve ball at race briefing where we were told TT bikes wouldn't be allowed in the bunch (and we were starting with a bunch ride for the first stage), I had a great first day. In the short 30km first stage I rode at the front as to not be in the bunch and headed into the 21km off road run with about 10 others, closely separated. The run started with a big 6km climb, rising just over 500m in elevation. I felt really good at the start and decided to run a steady tempo to the top and see what happened. Halfway up the slippery and rocky climb and I was on my own in front with a few chasers a couple of hundred metres back. I was feeling good so kept the rhythm going over the top and was first into the descent. Coming out at the bottom we had about another five or six kilometres of flat gravel road to run, and at the end of every straight I couldn't see anyone close behind. I was pretty excited about how I was feeling and keen to get back on the bike for the final stage of day one - a 35km road ride from Whangamata to Tairua. I rode a steady tempo, not pushing too hard, knowing that day two was the harder day, but also not waiting around for anyone. I crossed the line in just under three and a half hours for day one, taking the win in the Duathlon and also beating all the teams and multisporters (before they got in their kayak at the end). The rest of the day was spent recovering in the motel and getting ready for Day Two. Day Two was going to be the longer day, starting with a 50km road bike, 15km up hill mountain bike stage and finishing with a 23km run which sounded pretty tough. I was looking forward to this day though as it had a bit more climbing (especially the MTB) and knew that would suit me pretty well. The first ride was pretty steady, although I put a few surges in their to keep the pace higher. The multisporters had started 30 minutes before us, meaning that we would get onto the MTB stage at roughly the same time (as they had to paddle before the MTB). I was excited by this as hopefully it might give me a few targets to chase. This is exactly how it worked out. I was 5th overall onto the MTB stage, chasing the top multisporters who started a couple of minutes ahead of me. I rode this stage pretty hard and at around the 25 minute mark I managed to take the overall lead. Over the next 20 minutes of the stage I kept pushing, opening the gap to over a minute heading into the long run. From the notes we had been given, it sounded like it would be a tough run. I slightly underestimated just how tough it would be. I only managed to get through six or seven kilometres in the first hour. It was either straight up or down in the slipperiest and muddiest conditions on the most technical track I had ever run (most of it was actually walking!). About halfway through and the track opened up a bit, allowing for a better rhythm and a faster pace. I was still in the lead and couldn't hear or see anyone behind, so just ran a steady pace, knowing that the run was going to take a lot longer than the two hours fastest time that had been predicted. After two hours and 43 minutes of running I finally popped out into Thames and crossed the line. That was a tough way to finish the race, and despite being pretty fatigued from it, I was pretty happy with how the weekend had gone. Since the race I've been in recovery mode but I'm looking forward to getting back into the training, and building up for my next race: the Motu Duathlon. Motu will be a new event for me as somehow I've never raced it over all the years. I'm excited to go and experience it, and continue building on the foundation I've laid over the last few months. Right now though it's back to training! It’s been a good last month on the racing front as I continue to build towards Xterra New Zealand. In early February I headed down to Nelson for the Coppermine Epic MTB race. This was one of my favourite races in 2017 so I made a point to include it on my 2017 race schedule. 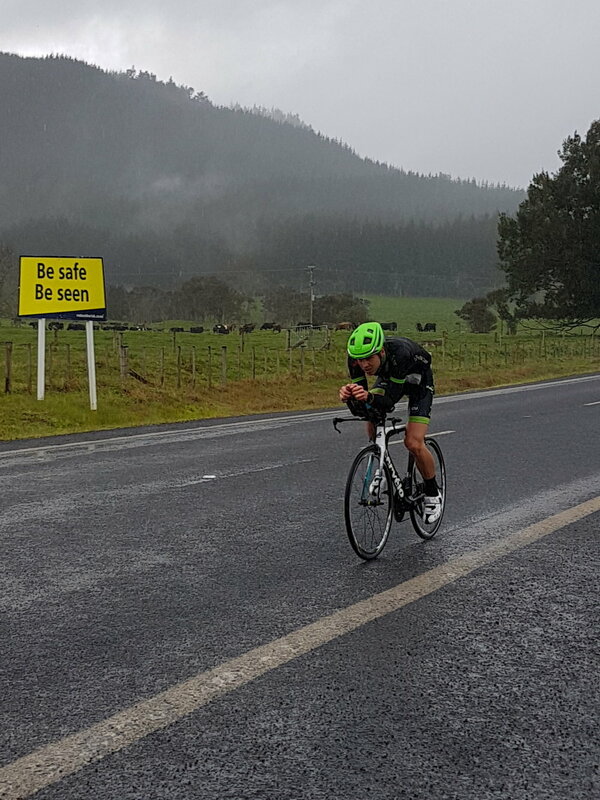 I’d had a good break after the Tauranga Half Ironman at the start of the year so with only a few weeks training behind me, the focus was to ride within myself and not blow up too much on the big climb early on. I had a pretty good start and actually felt really good for the first few minutes, until we hit the start of the main climb and then I came back to reality. I rode a steady hard effort to the top (about 50 minutes up a 10km climb) and went into Black Diamond Ridge in 5th but only a minute behind 3rd. The native section of Black Diamond Ridge caught me out last year and I knew this year it would be faster for me to get off and run in places than trying to ride on, especially as I was riding the Santa Cruz Highball. This worked well and by the halfway point of this track I was through into 3rd, and then 2nd as the leader Henry Jaine had a mechanical. This gave me a pretty good boost and I knew if I could hold onto 2nd up the next false flat climbing section I knew I had a good chance to hold it down the descent and the traverse section to the end. That’s how it played out and I was pretty happy to cross the line in 2nd and get my off road season off to a positive start. After another few weeks training I lined up at Xterra Motatapu. I won this race last year so I was looking forward to going back as defending champ and try and defend my title. About 10 days before Motatapu I pushed it a bit far in training which lead me going into the race a bit more fatigued than I was hoping. This was my 5th time racing this event so I know the course and conditions pretty well, and after last year, what I need to do to win. As soon as I saw the start list I knew the big threat was going to come from Dougal Allen. Dougal’s a quality athlete, recently breaking the long standing Challenge Wanaka record, and after beating me here a couple of years ago, I was hoping to get one back over him. I had a good swim and exited Lake Wanaka at the front, exactly where I wanted to be. I knew I would likely have an advantage over Dougal in the water and guessed it would be between 60 to 90 seconds. Out onto the bike and the scene couldn’t be more different to previous years. Every year we have a pretty clear run through the MTB section, but this year our race started just before the mountain bike race did, which meant after a two kilometer swim, we would be coming onto the bike behind nearly 2000 riders. At the start it wasn’t a big deal but through the middle sections it became more annoying as the riders I was catching were getting more and more competitive and less likely to allow me to pass easily. This made for very short but hard surges to get past them, not what you want in a four hour race. I felt really good on the bike early on and kept the intensity high, knowing that Dougal would likely ride up to me at some point. He’s a strong rider so I knew I couldn’t afford to try and ride more than half of the bike with him. Everything was going pretty well and it took Dougal over an hour to bridge the 90 second gap I had on him out of the water. But just after he caught me I made a few dumb mistakes through a couple of the rivers crossing sections and lost his wheel as we hit the key section of the course, false flat grass sections with a head wind. I had a bad period through this section and even down the last descent didn’t have the speed I’d expected. I knew the time gap to Dougal at the end of the bike would have ballooned because of this and coming off the bike I heard it was four minutes. Not exactly the time gap I’d hoped to give away! Onto the run and I didn’t quite have the top gear I needed to close the gap. I felt ok, but not great and that was the difference to my win last year. I felt amazing in 2016 and was able to push hard on the long climbs and steep descents, but this year felt restricted to 90%. I pulled the gap back to Dougal to cross the line just over a minute behind him, and again finish 2nd. Looking back on the race I know I made a few mistakes in both the lead up to the race and on race day that cost me. Last year I had my best race of the year here and then seemed to fade a few weeks after it, so I was mindful of that in my build up this year. I’m hoping to continue building and find my peak form on the 8th of April. Over the next few weeks I’ll be working toward that. The Port of Tauranga Half Ironman, which doubles as the New Zealand Long Distance National Champs, is always one of my favourite races on the calendar each year. Coming right after the New Year holidays, this race is a great incentive to keep training through the holiday period and make the most of the summer weather. It also provides a great opportunity to get into a race early in the year, and set yourself up for the rest of the summer season! As a racer, this course is very fun to compete on due to its flat nature, which makes for fast times and close, exciting racing. The atmosphere out on the run course is amazing with fans and holiday makers out enjoying some sunshine, lining the streets to watch the racing. This race finished off my recent summer racing block after finishing 8th at the ITU Cross Triathlon World Champs and unfortunately not finishing Taupo 70.3 after suffering a puncture out on the bike. I was hoping to finish on a high and was targeting a top five finish against a very strong field that was lining up. I knew that this was well within my capabilities if I had the form to execute my race plan well. On the morning of the race we woke to extremely strong winds, and Pilot Bay, which is usually very calm and flat, was full of white caps. This made for an extremely tough swim in the rough conditions and threw the race wide open. I felt good early on in the swim but wasn’t quite able to stay with the front group halfway through the two kilometre swim. I settled into the chasing pack and excited the water 90 seconds down on first. Out onto the bike course and the pace was on immediately with Cameron Brown putting in a huge effort to get across to the front bunch. Myself and the rest of the chasers weren’t quite able to stay with Cameron which proved costly as he was able to get up to the front group and we were left to ride for ourselves over the rest of the 90 kilometre bike. After just over two hours of riding to finish the ride, I was out onto the run in 8th. I wasn’t quite where I wanted to be but I knew if I had a strong run I would still be able to push for that top five spot. After feeling great through the first five kilometres of the run, I didn’t quite have the endurance over the second half of the run and unfortunately faded to finish 11th. This wasn’t what I had hoped going into this race, but that’s racing and I didn’t quite have the legs when it mattered. It was still an awesome opportunity to race against an extremely strong field, led my Braden Currie and Cameron Brown, and I’m looking forward to coming back in 2018 and try and claim the National title. Right now it's time to rest and relax after a long season and then begin the build up to Xterra New Zealand in April! As those close to me know, I'm not one to sit around and 'hope' to one day be the best in the world. I enjoy training, pushing myself in each session to be faster, fitter and stronger. I love being outdoors, swimming, biking and running and that sometimes leads me to overdoing it as I seek those improvements. I'll be the first to admit I've made a few mistakes this year that have led to a few below par races and frustration with myself that I'm not able to compete at the level I know I am able to. The most frustrating part is that the year started off really well, giving me confidence that I had a great year of racing ahead. Despite not being in great shape, Sam Shaw and myself managed to sneak onto the podium at the Red Bull Defiance in 3rd. A month later I was 3rd at the Coppermine, won the Ruapehu Express half marathon in a time of 1:12:37 and then won my first Xterra World Tour race at Motatapu. Leading into Xterra NZ I was in the best form of my life, confident that I was in a position to challenge for the title, but that's where it started to go wrong. I had a very average race at Xterra NZ (4th), and followed it up with a slightly better, but still below par race at the Asia Pacific Champs (6th). When I headed to Xterra Malaysia after that I was completely cooked and struggled to an 8th place finish. I then had over a month away from any training and got back into light sessions in June. I had a good build up to the Coromandel Classic and New Caledonia Xdeva Cross Triathlon, winning both and gaining confidence towards my last block in preparation for the Xterra Worlds and ITU Cross Tri Worlds. I felt I recovered well from those races but through the next block my body didn't respond how I was anticipating and I could tell I was going through the early signs of overdoing it again. Knowing this I chose to back off and let my body rest, giving myself the chance to bounce back for the ITU Cross Tri World Champs and then have a real crack at both Taupo 70.3 and Tauranga Half Ironman. I love those races and really want to make them a priority over summer, something I have never done despite racing both of them twice previously. So right now I'm just getting back into it, incorporating the lessons I have learnt over the past year and building smartly towards what will be a cracker summer. I'm disappointed to be missing the Xterra World Champs, but after racing there eight times previously, I know what it takes to be successful there and will be back in the future targeting the podium! Thanks to my family, supporters and sponsors for the continued support! I'm looking forward to righting a few wrongs over the next few months. A couple of months ago I was lucky enough to be invited over to New Caledonia to race the Xdeva Cross Triathlon. I was debating about whether to race Xterra Japan, which was on the same weekend, but thought this might be a better option due to the shorter travel time and with the Xterra World Champs coming up it was also important for me to get in a good race in the heat. This was going to be a short trip, heading over there on the Friday, racing on the Saturday and then heading back to Rotorua on the Monday. The weekend before I raced the Coromandel Classic which had a decent amount of tough running (close to 50km over two days on steep and technical trails) so I was interested to see how my body would bounce back from that in a hot, shorter high intensity race. The trip over went smoothly and was incredibly well organised which is crucial if you are travelling so close to a race. There is nothing worse than missing connections or being delayed for your stress levels! We got there just before dinner time on the Friday, so all there was time for was a quick jog on the beach, have dinner, unpack my bike and get all my gear ready, and then get to bed. I felt pretty good on race morning and felt that I had recovered well from the week before, so I was pretty excited to race. The race was pretty short – 900m swim, 22km bike and then an 8km run which meant that it would be full on from the start. The swim reminded me of Xterra Saipan – a lot of dolphin diving in shallow water! I love these sorts of swims and had a good start, leading out to the first buoy, before sitting on the feet of a couple of others until the end. I was pretty happy with the swim, coming out with the leaders and in a good position to dictate things on the bike. After a quick transition I was onto the bike in first and pushing hard with no idea what was coming up! I built a good lead early on and for the rest of the ride just focused on riding my own tempo, and making sure I was doing what I needed to. The mountain bike course was pretty fun and reminded me a lot of what the ITU Cross triathlon course in Lake Crackenback, Australia is like: mostly undulating tight, twisty singletrack with a few short steep pinches thrown in there. These types of courses mean minimal recovery and you’re riding at your limit the whole way. Luckily for me the bike course was incredibly well marked (as I had no idea where I was going) and I arrived in T2 with a couple of minute lead on 2nd. Out onto the run and I could feel the temperature was heating up. This was exactly what I came over here for and it was good to get used to what it feels like in a race situation again. 1km into the run, with my lead estimated to be about three minutes, I had a moment of panic. The run course started following the mountain bike course, before heading straight up the side of a mountain, and some of the tape that was meant to guide us had been ripped and was down across the track. I didn’t know where to go, so ran back hoping to find a turn I may have missed. Luckily as I was doing this, one of the race organisers noticed this as he was driving past and sprinted up to me to show me where to go. This small mistake cost me a minute but could have been far worse if it hadn’t been for the quick help! The run was definitely the hardest part of the race, with no flat running (other than the usual beach finish at the end), and steep up and downhills. To be honest I wasn’t feeling to great early on in the run, and could see David Esposito only a couple of minutes behind on the climbs. I made sure not to let him close the gap though and was pretty happy to reach the highest point of the run after 5km and start the steep downhill back to the finish. After another small navigational error right at the end of the run I was down onto the beach to cross the line in first. Job done! I was pretty happy with how my race played out and am feeling fit and fresh leading into the last block of training in the build to the Xterra World Champs! A huge thanks must go out to Lake Adventures for the invitation to race and organising the whole trip, as well as the Xdeva crew for putting the race on, and Monique, Sam and Lydia for an awesome weekend! It’s been a while since I have had any races to report on. Since Xterra Malaysia earlier this year I have battled a few viruses and other health issues and used it as a good opportunity to take a decent break away from triathlon and enjoy a few other things outside of the sport. It was a much needed break and I’m sure I am going to be much better for it over the next few years as my career progresses. I’ve been back training for a couple of months now as I build up for the Xterra World Champs and ITU Cross Triathlon World Champs later in the year. Being in New Zealand over the winter meant I could get a decent block of uninterrupted training in and also do a couple of events I have always wanted to do. The Coromandel Classic is one of those events, and after having not fit into my plans over the past few years, it looked like it would fit nicely into my build this time. The race is a classic two day Multisport race that starts and finishes in Thames. I entered the duathlon which meant I didn’t have to paddle, but had to add a few more km’s into each ride. The first stage was an 18km gravel road mountain bike ride from Thames to the start of the Pinnacles track. The stage was relatively uneventful with two riders going off the front after a fast start. The goal of the weekend for me was to race at a comfortable pace and use the weekend as a big weekend of training, so I let them go and focused on working with a group of eight to ten other riders who were chasing. After about eight kilometres it was pretty evident that only a few of us wanted to do any work at the front, so I let a couple slip off the front and then sat up to see if anyone else wanted to chase them. They didn’t so once the two off the front had around a hundred metre gap I quickly went across hoping to work well with these guys. Funnily enough the guys behind didn’t want to let me get away so they chased me until they bridged back up. I knew they would have had to work a bit harder then they wanted to though, so when we got to the next pinch I put in a small burst and the three of us were able to get away for the rest of the stage. At the end of the first stage we came in right behind the two who had broken away very early on. Perfect. All the riders I was with were teams and the next individual competitors were in the group behind, giving me a couple of minutes lead heading into the epic 27km run over the Pinnacles track. I have never done the pinnacles track before but I’d heard a bit about it and was looking forward to going over it. The first 45 minutes was generally uphill rock stair cases which meant for slow and tough going. During this time I moved past the other teams and was joint leader at the top with James Keugler from one of the teams. I felt comfortable, walking the steep stuff and running where I could, and was loving being back in the technical bush. All of a sudden things changed though as we reached the first peak and headed into a ridiculously steep and technical descent down to a river crossing. It had been raining for a couple of days before the race which meant the track we were running down turned into a stream, and combined with Coromandel’s clay surface and rocks, made for a sketchy downhill. I was pretty cautious through this and James pulled away. I lost a bit more time at the bottom as I searched for the track following a river crossing and made sure I was going the right way as I didn’t want to end up lost in the middle of nowhere! The next climb was much like the descent, super slippery, technical and steep. I got to the top and heard I was around two minutes down on James, but knew I must have a reasonable gap over the next individual. It seemed to flatten out for a while at the top as we moved into what seemed like endless swamps. It was very slow going and when I glanced at my Garmin and saw I had only covered 14km in around an hour fourty, I knew I was in for a long run! At the end of the swamps I lost a bit more time to James as I reached an intersection which wasn’t marked and had no idea where to go. I could see about a kilometre each way and had to wait until I could see him in the distance so I could follow. I had no idea if he was going the right way but thought if he hadn’t waited for me, he must do (turns out he has been over the Pinnacles around eight times…). The rest of the run was on gravel roads, first a relatively long steady downhill into a valley which we then followed for around seven to eight kilometres until the finish of the run at Coroglen. This was mentally the hardest part of the run, just ticking off the km’s, and hoping to see the transition soon. I held onto second individual and came in pretty happy to get onto the road bike. The third stage was a 50km ride from Coroglen to Tairua via an out and back to Fairy Landing by Cooks Beach. Due to extremely windy conditions, the kayak had been shortened, which meant the duathlon had to add on an extra couple of kilometres to the out and back section. I felt good early on, with a strong tail wind to the turn off down to Cooks Beach. The plan was to ride solid until I could see the gap I had, and then back off if I could. Coming back from the turn I took a split over the next guy that was around 15-16 minutes which meant I could pull my effort back and ride easier to the finish with another big day to come. That’s how it went for about 10km but then as I took the turn to head to Tairua, things started to unravel. I started to feel really bloated and could tell I was starting to fade which wasn’t great considering I still had a solid climb up and over ‘Pumpkin Hill’ and down to Tairua. I managed to grovel up the climb and then didn’t pedal for the descent down into Tairua. I was pretty happy/relieved to make it to the finish and cross the line in first, and also put a tough day of racing behind me. Day Two started with a 40km ride from Tairua over to Whangamata. There was only a small bunch competing in the duathlon, and early on the ride was pretty settled until we hit the main climb. Myself and a team rider managed to get a small gap on the rest of the field up the climb and we extended our lead throughout the stage. He was pretty happy to set a fast pace at the front and I was happy to tuck onto his wheel and save a bit of energy leading into the 21km run stage through the Wentworth Valley. Onto the run and straight away I knew it was going to be a battle. I felt OK on the flat, good on the uphill, but when the road or track went downhill, I could barely run it. The run over the Pinnacles the day before had left my legs pretty fatigued and while my energy levels were really good, my legs felt terrible. I ran steady through the first five kilometres until we hit the track. At first it is a nice steady uphill on a really nice smooth gravel track, but the longer it went, the harder it got. As I reached the top I was still in the lead and feeling pretty good but with the stage finishing with seven kilometres of steep downhill, I knew I could be in trouble. I battled down, running very slowly as my legs took more pounding and was pretty relieved to get to the bike still in first place. The last ride was a pretty flat 30km cycle back into Thames. After fading a bit at the end of the first day, I wanted to make sure I rode this a bit easier and also just enjoy finishing a couple of long days. The wind was playing ball which meant for a warm and calm ride into town, and I was pretty happy when Monique drove past me after ten kilometres giving me a five minute split back to the next runner who was in a team. I was really able to enjoy the ride after that and crossed the line, after nine hours of racing over the two days, in first place. It was an awesome feeling to be back racing and an even better feeling to have raced in control over an incredible course. Finally I have ticked off the Coromandel Classic and I can see why it's a must do on the race calender for any multisporter! After the disappointment of Xterra New Zealand the week before I was pretty determined to make the Asia-Pacific Champs a good one, although I was still unsure if the good form I had before Xterra NZ would turn up. I went over to Callala Beach early this year which gave me a good chance to relax and recover at the beach before another hard battle. It was a great week over there and things got even better when the bad weather rolled in on the Friday. There were a few heavy downpours, not enough to make much of a difference to the mountain bike course, with the biggest factors being a flooded pro transition rack and a rough swim! The swim turned out to be the biggest factor for me in this race as with the rough ocean, the time gaps were quite a bit larger than usual. I came out with a lot of other kiwis (Aiden Dunster, Cam Paul and Keiran McPherson) which made things interesting early on in the bike. I didn’t want to provide a free ride to any of these guys, but on a flat course I didn’t want to push too hard early on as I knew this would result in a very slow run. Myself and Aiden managed to get a small gap through one of the huge puddles out on the course and once we hit the single track 10 kilometres I was slowly able to open a gap on Aiden. I felt better than at Xterra NZ and with Brad Weiss in my sights just ahead I had plenty of motivation to work hard. I rode strong until around the 20km mark when my left knee (which I had slightly injured after making a little mistake pre riding on the Friday) flared up. I eased off not to aggravate it anymore, knowing that it was likely to be worse on the run. I did manage to pull back Courtney Atkinson with a few kilometres left to go on the bike but as it turned it wouldn’t quite be enough at the finish! I came off the bike in 5th and immediately had Brad in my sights. I could see I was moving slightly faster than him and after the long beach section I had nearly closed the gap. My knee seemed to be holding together pretty well and the pain had gone away. Four kilometres in and Courtney came past. A minute later I moved up to Brad. We both weren’t able to match Courtney’s speed and he established a 50m gap quickly. That gap remained around 50m for the next few k’s as Brad had increased the pace. I felt comfortable running with Brad until around the seven kilometer mark where we went into a series of ‘rollers’. Kind of like trying to run on a BMX track. Brad was better at establishing his rhythm here and managed to build a small lead. That would be the difference at the end of the day. He managed to get a 10 second gap and no matter how hard I tried I wasn’t quite able to close it, eventually finishing eight seconds down in 6th. 6th wasn’t what I was looking for in the build up to this race but I was happy to put out a better performance than I had in Rotorua. Looking back at the splits it shows my bike and run were competitive but my swim needs to be fixed. I know there is still so much more that I am capable of and I am looking forward to focusing on my weaknesses leading into the bigger races towards the end of the year. Next up is Xterra Malaysia on the 7th of May. It’s going to be a hot and humid race with another great field turning up. I’ve enjoyed the close battles over the past couple of weeks and although I haven’t come out on the side I would have wanted, I have two more races to go to finish my early Xterra season on a high! What more can I say about this one. Xterra NZ is hands down my favourite race on the calendar. Obviously I am a bit biased as I have grown up in Rotorua, but this race has it all: amazing course, convenient location, and an atmosphere that is second to none in Xterra. This is the race that got me into triathlon and for the past eight years I have been trying to improve to one day stand at the top of the podium. I thought this year that I had got all of the pieces of the puzzle right to put out a performance that would be capable of winning. But professional sport and racing doesn’t always run to script and I learnt the hard way this year. Lining up on the start line I was confident in my ability to deliver on the day. I had been training really well leading into race week and was hoping the taper would have me fizzing. I lined up far left, next to the good swimmers. After a bit of a random start with a few athletes jumping the gun we were into it. I had a rough start getting pounded by a few athletes who started early but at the first buoy I managed to move my way through the pack and come out of the water towards the front of the main pack. Onto the bike and I just didn’t have the power that I felt I was capable of. I battled back and forth with Brad the entire ride. He would drop me on the hills but I would come back past him on the descents. Fortunately for me the bike finished with a longer downhill so I was able to catch Brad and put the better part of a minute into him down Eagle vs Shark and the Feeder track before T2. I hadn’t pulled anytime back on Sam and Braden so I knew it would be a tough ask to run them down as they are both great runners. My own run has been improving though and I knew I was capable of running 1-2 minutes faster than last year. It wasn’t to be though as the flat feeling that I had on the bike continued onto the run. I kept trying to hold onto 3rd though but Brad was running well and came past me with just over two kilometers to go. Crossing the line in 4th was pretty gutting to be honest, but I was more disappointed with my performance. I feel that I am capable of so much more on that course, especially with how I had been tracking in training in the build up. Lessons will be learnt from this one though and I will be back hungrier than ever in 2017, in what will be my 10th straight Xterra NZ! My summer race season is finally here! It's been a great couple months focusing on training but sitting on the sidelines and watching events like the Taupo 70.3 and Tauranga Half Ironman have been hard. Like all competitive athletes who love to race, I have been itching to get back on the start line and compete. This weekend kicks off three weekends of racing in a row for me and I'm looking forward to getting into it! First up is the Santa Cruz Coppermine mountain bike race down in Nelson this Saturday. I haven't raced in the Coppermine before but from what I have heard from the athletes and crew at Santa Cruz that I have been talking to, it sounds like I have one brutal race awaiting me... There is also a great field lining up with fellow Santa Cruz riders Sam Shaw and Dirk Peters also heading down and keen to give it a crack. It is going to make for exciting racing! Next up is a quick trip down to the central North Island for the Ohakune Express to compete in a Half Marathon trail run. This is a new race to be held for the first time and I'm relishing the chance to compete in a race with just a trail run and push some limits! 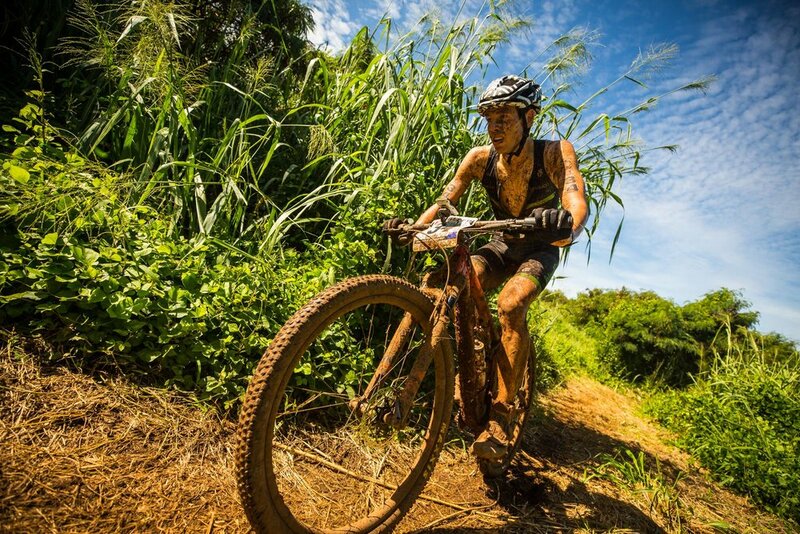 Rounding out the three weekends is the iconic Xterra Motatapu. I have lined up at this race three times beforehand and know just how tough a race it is as you race from Glendhu Bay (Wanaka) through to Arrowtown. It's an amazing part of the country to race in though, with all the courses offering picturesque views and you finish with an incredible sense of satisfaction after finishing the bucket list race! After placing 2nd last year I am really looking forward to getting down there and hoping to go one better. If you are keen to join me (even in the trail run, adventure or mountain bike races they also run) then you better get your entries in quick. A limited number of late entries will be available from now until Midnight Monday 22 February for the 2016 Macpac Motatapu Off Road Sporting Event. It's been just over a week since myself and Sam Shaw crossed the line to finish the Red Bull Defiance. I usually would have posted a blog update earlier but I have been so shattered from the race that it has been hard to think about writing about it. Time heals everything they say and I can now look back fondly on what was a tough weekend, filled with incredible scenery and laughs, but also closely fought racing. Going into the Red Bull Defiance I wasn't to sure what to expect. On a personal note I hadn't raced since mid November and had only really just got back into full training. I was pretty unsure how I was tracking form-wise going into the weekend but eager to see. On a team level I had never raced with Sam before in something like this, and as none of us had kayaked in a LONG time, I was apprehensive about how much time we might lose in the two stages on the water. I was confident though that we would be a strong pair on the bike and a solid team through the run stages, which would hopefully give us a shot at being on the podium against some very strong racers. The first few kilometres of the bike were much harder than I had anticipated. The aussie team of Jared Kohlar and James Pretto were drilling it and it was causing a few splits to happen in the bunch behind us. Myself and Sam tried to ride conservatively knowing that we had a long day ahead but that was proving to be difficult with the short and steep climbs. Eight kilometres in and the decisive break finally happened. We hit a short steep climb that went into a few hundred metres of grass false flat uphill. It was enough to blow everyone apart and for four teams to ride away. Sam and myself made the split and then only a few kilometres later whittled it down to just two pairs, being joined by Dan Jones and Alex Hunt in riding away from the field. We rode together for just over half of the mtb before hitting the stages major climb. At the bottom I managed to wrap a stick through my rear dérailleur which cost us about 30 seconds. It turned out to probably be a good thing though as Dan and Alex were drilling this hill. We rode steadier to the top and then set a solid tempo for the rest of the stage, coming off 2nd, a few minutes down on Dan and Alex but with a good gap back to 3rd. We found out later that night that although we crossed the line in 2nd, when they took into account the time we had taken in the 'dead zone' on the abseil, we were moved down to 3rd, just under a minute now behind Sam Manson and Hamish Fleming in 2nd. We weren't worried though as we knew we had an approximate seven hour day to pull that back. The second day consisted of a 20km kayak on Lake Wanaka and down the Clutha river, a 30km mountain bike over the Pisa range before the 'queen' stage, a 30km run over the Skyline track and back to Wanaka. We had a bit of a messy start to the second day, getting hit off the wash of a boat which we were hoping to hold onto. The kayaks there were easy to paddle for us if we could hold onto the wash of another boat, but as soon as we dropped off, we weren't strong enough to paddle back on. This cost us to lose the first main group and kayak mainly by ourselves. We ended up losing four minutes to the fastest teams. Still not to bad compared to what I thought we would lose going into the race. Onto the bike and we both felt pretty good. I was held up for a minute after getting some fence wire wrapped around my front hub but after that we made some solid progress through the field. We managed to move into 4th by the top of the long climb (took me one hour and 15 minutes to ride) and then made up some good ground on the slippery and rocky descent into transition coming in 2nd with the other teams hot on our tail. We had ridden the bike really conservatively, knowing that the key would be the last run and were happy with how we felt early on. We slowly pulled away from Sam and Hamish and built a minute lead. The main climb took close to two hours and was mainly walking, only jogging when it flattened out every few hundred metres. Towards the top I started to feel pretty average and went through a bad patch, losing 2nd as Sam and Hamish came by. They came by really hard though and I knew that if I came right we were still a chance to get the time we needed. After reaching the highest peak at Mount Roy we had a short descent and only one short climb until it was all downhill to the finish. I immediately felt better when we got to the first short descend and we were able to bridge back up to Sam and Hamish. Going into the LONG descent back to the edge of Lake Wanaka (6km) myself and Sam Shaw knew it was time to put the foot down and get a gap. I knew that if we could get away on the descent we could hold it to the finish with only 5km remaining from the bottom. We quickly got a gap and at the bottom of the downhill things were looking good. We had just over the minute we needed and I was feeling great. The only problem was that Sam was beginning to suffer. After one kilometre of running along the lake edge, Sam collapsed, obviously struggling from dehydration on what was turning into a hot day. We had slipped back to 3rd and it was pretty obvious that with Sam's condition the best we could hope for was to make it to the finish (still 4km away) and hold onto 3rd. After a couple of kilometres of walking and getting in around four bottles of fluid, countless gels and chomps, Sam managed to run the last two kilometres and we crossed the line in 3rd. I was pretty relieved to get to the finish and although I was stoked to get on the podium, I was prouder to have raced with my cousin and seen his determination to get across the line. A week on and I have finally just recovered and feeling back to normal. That race takes a lot out of the body, and although it was brutally hard, I know we will be back next year. I have already given Sam a years notice so we will definitely be back on the start line next year, looking to go a couple of steps higher! A huge thanks to my sponsor GU Energy for making this weekend happen and Red Bull and Braden Currie for dreaming up this race. It is races like these that are going to grow our sport with the coverage, professionalism and prize money. I hope we continue to see more of this down in our awesome country! I'm currently counting down the days to my first race for the 2016 season, the Red Bull Defiance! A few months ago GU Energy New Zealand offered me the opportunity to be part of this new world class multisport race and I couldn't turn it down! Pretty quickly I was on the phone to my cousin, top XC/Enduro mountain biker Sam Shaw to see if he was interested. Turns out he was! We were both keen to race with each other for the first time rather than battling it out for family bragging rights! A few months have passed by since we both committed to the Defiance. This race isn't just your normal multisport race. It includes abseiling and clay bird shooting, to go along with some spectacular and brutal kayaking, mountain biking and running. Both of us have used this time to build the endurance and strength we think is going to be necessary to not only survive but hopefully be battling for the podium spots! Sam has been based down in the Queenstown area for the past month so he's getting pretty familiar with the terrain down there. Myself, I have been slowly building my training up again since early December at home in Rotorua. A few missions with Sam Clark have been great to help me prepare and I can't wait to get down there in a couple of days and get back into the racing scene. We will be lining up in the Elite mens division, alongside us will be some other pretty accomplished athletes. Personally I think the teams of Sam Manson and Hamish Fleming, Jared Kohlar and James Pretto, and Dan Jones and Alex Hunt look to be the most dangerous. And without Braden Currie and Dougal Allen racing, everyone is hungry for that vacant top spot. Myself and Sam as Team '4Shaw Racing', supported by GU Energy and Santa Cruz Bicycles will be doing our best to bring it back to Rotorua! The Xterra World Champs is always my biggest race of the year. This year I headed over to Maui, Hawaii, for my 7th attempt. Having had a disappointing performance at this event in 2014, I was keen to use the lessons learned from that day and redeem myself with a top race this year. 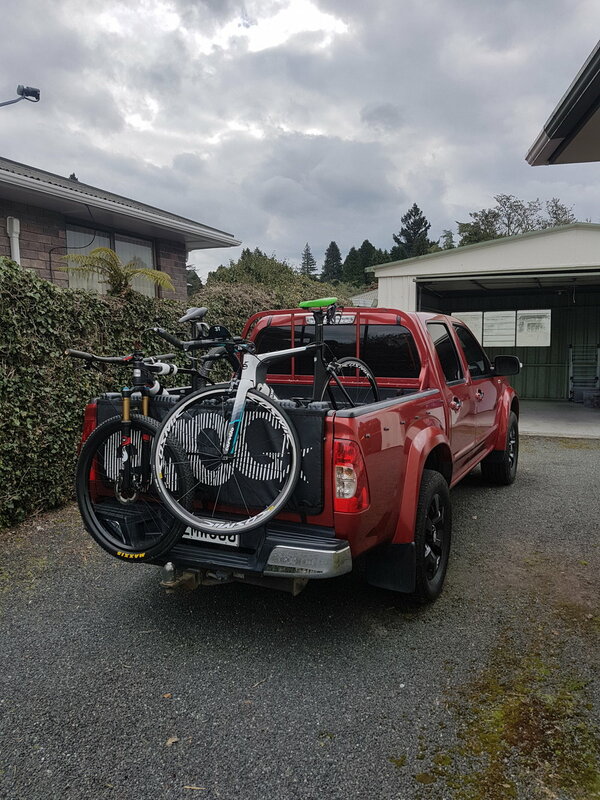 After competing in the Xterra USA Champs in mid September, I headed back home to Rotorua to recover and then get my last big block of training in for Worlds. Training went well, even fitting in a local 12 hour mountain bike team race which went well, putting out some of the most consistent and fastest laps over the day, and I headed over to Maui feeling fresh and confident. I went over early this year to try and get as used to the heat as I possibly could. Coming from New Zealand I definitely take a while to start feeling good in the heat and humidity so I was pretty happy to go early and get more training done on the island than I have ever managed before. I had a great time in the lead in to the race, doing a bit of training with Jacqui Slack and staying with a couple of mates from New Zealand. The atmosphere going into the race was awesome. For the first time ever at this race, I was excited to be racing and just seeing how I would go after a great build up and some good races earlier in the year, against the best guys in the world. This year in particular I thought there was a very talented, deep field, and the fight for the top 10 would be brutal. Standing on the start line and the usual nerves were replaced with excitement. I lined up pretty far to the right hand side, hoping to stay clear of the usual fight for places that goes on in the middle of the pack. I had a clear run to the first buoy and managed to get on a good pair of feet after the first turn. I swum conservatively, relatively happy with the progress we were making, and trying to save as much as I could for later in the race. Heading out onto the bike I heard I was around 30 seconds down on last years champ Ruben Rufaza and two minutes down on the main lead group. I got to work early on the bike, finding clear ground for the first undulating and twisty 20 minute climb and made up some places quickly on my Santa Cruz Tallboy. Just after the 5 mile mark (up on Razor Ridge) I managed to pass Branden Rakita and then Sam Osborne and moved closer to the top 10. I felt good hunting the athletes down but after this I had a piece of misfortune. Coming into the first aid station I was yelling out ''water, water - two bottles." Unfortunately after I had grabbed the first and put it in my bottle cage, I grabbed the second one and began pouring it over myself before drinking it and realised they had given me Gatorade. At the next major climb I checked the other bottle and it to was Gatorade. I knew I had to keep drinking (to avoid a repeat of 2009 when I passed out on the run) but Gatorade really doesn't sit well with me. There's a reason I choose to use GU Energy products, and that's because they are the only product that I can have a good tasting carbohydrate drink and it sit comfortably while I race at 100%. I have tried many others brands drinks (including gels) and haven't found another one that suits my body as well. Immediately after drinking the Gatorade I could tell my body was going to refuse it. Halfway after the biggest climb in the race and it started coming back up. I decided to only take sips of it until the next aid station (a good 25 minutes away) to try and get a bit of fluid in. I managed to get some water at the next aid station which helped a lot and I was able to take in some more of my GU gels, heading into the last major climb and then the 20 odd minutes of twisty, undulating single track back to transition. I passed Ben Hoffman and Ben Allen in this time and felt pretty good heading into the last section of the bike, now just inside the top 10. Coming off the bike I could tell I was less than a minute down on 6th and well within a chance of a great result if I could put together a fast run, something I had been working hard to achieve. I felt good for the first few minutes running uphill but then could tell that something wasn't quite right. I went from feeling strong to weak in only a couple of minutes and quickly the run was turning into one of survival for me. Ben Allen and Hoffman came back past me towards the top of the climb, both running well, but I was barely moving, just hoping I would have some fast legs for the downhill and hopefully maintain my place, now 12th. I felt a little better on the downhill but still not great, taking my time through aid stations to make sure I got in as much fluid as I could to complement my gels. On the last big climb of the run (I call it 'The Wall' - a 250m steep section on a concrete road in the baking hot sun) I was caught by another athlete. I gave it my all to stay with him and hung on down the last descent where we went back past Ben Allen who had rolled his ankle on the descent. Coming into the last beach section he created a small gap and was able to hold it to the finish, with myself struggling up the finish chute just behind him to claim 12th elite, a placing that I am proud of considering the circumstances, but still having the 'what if's' had I nailed my nutrition plan and the run. I wasn't in a great place at the finish of the race, definitely suffering from mild dehydration and the heat. It had been a hot day for the race, with barely any clouds while we were out racing, making for brutal conditions. I spent a while in the medical tent getting brought back to normality before heading out and celebrating finishing this tough race with Matt Backler (4th in 35-39 age group) and Lydia Hale (2nd in 30-34 age group) who I stayed with. A great trip is now finished and I am already planning my 2016 assault. It was inspiring to see Josiah Middaugh win the Elite race after 15 years of trying. I hope I am able to get there one day to! Santa Cruz Bicycles - I rode the Tallboy CC for this race. The perfect bike for this course as although it's not technically hard, it is pretty bumpy! Rotorua, New Zealand - The perfect training ground for Xterra racing. Beautiful lakes and pools, and amazing trails for mountian biking and running. Couldn't have it any better! GU Energy - Although I wasn't able to nail my nutrition plan with the circumstances, I know I am taking in the best nutrition with the Roctane gels and powder! Marmot - I only used the visor on race day but their gear was perfect for the heat in Hawaii while running or relaxing on the beach. Smith Optics - I used the Overtake helmet with Pivlock Arena glasses, keeping me cool and my vision clear. Maxxis - I (along with nearly the entire field) chose the Maxxis Ikon tyre for this course. Perfectly suited for it's fast rolling and grippy attributes. Prologo - I use the Prologo Nago Evo X10, a light and comfortable saddle. Evoc - The ultimate travel luggage. Reliable, light and incredibly well designed these bags make travelling so much less stressful! RATS - The ultimate local Triathlon club in Rotorua! Richard Ussher; Mark Leishman; my parents Deryck and Sally; my brothers Nelson and Jeremy; my girlfriend Monique Avery and all those who support me. I am now having a quick break from racing and training but am already planning my 2016 season! After a solid couple of months training in the NZ winter, I figured I needed a race to test out some new equipment and also see how I was tracking leading in to the US Xterra Champs. The Nduro Winter Series MTB Race #3 provided the perfect opportunity as it's close to home, has tough competition and is always a fun race to be amongst. I thought I'd so something a little different for this blog so below is a few photos, showing my progress through the day and how things went. Enjoy. A 7am wake up is pretty leisurely for those of us used to competing in Triathlons (especially the Half Iron or Iron distance races). Breakfast on race day is home made Pancakes. After breakfast I got my race nutrition ready. I always race on GU Roctane Ultra Endurance drink (Grape flavour) and GU gels - generally a mix of flavours with some containing caffeine and some without. Always important to get my head in the right frame set. Before every race I am listening to music from the moment I wake up until the gun goes off. My first race on my new Santa Cruz Highball MTB. I made sure everything was running perfectly in the days leading up to the race. It rained hard for a short period during the morning but I stuck to my original tyre choice of Maxxis Ikon 2.2 tyres, which turned out to be the right choice. All ready to head out towards the race site and go for a warm up. Out at Race HQ I caught up with a few other athletes racing before heading out for another quick warm up. I figured I needed at least 20-25 minutes easy on the bike + a few short efforts to get ready for the start of the race. I managed to line up near the front which set me up for a good start to the race. My plan was to not waste to much energy early on with the usual high intensity start. For most of the race I was locked in a tight battle with NZXC Racing and former NZ National Champ Carl Jones. With 10km left to go I managed to get a small gap to Carl. For 5km it hovered between 5 and 10 seconds but I was able to slowly extend my lead with only a few kilometres left to ride. A photo right before the end of the race. I was really suffering at this point trying to hold onto 2nd with a bunch of three chasing around 30 seconds behind. I was pretty happy to reach the finish. #1 because it meant I could relax after a tough effort and #2 because I managed to hold onto 2nd ahead of some of the best mountain bikers in NZ. Cabin was the lead moto for the race so he was pretty keen to find out happened behind. My day wasn't done though, having to head out for a short but painful run to simulate my Xterra races. Session done it was an easy jog back home for a shower before prize giving. I was really happy to make the podium. After a few months of solid training but no racing it was great to be back amongst it. There really is nothing like a solid race to prepare the body and mind for the next couple of months. The last thing to do for the day: Clean the mud off all my gear and then relax. Race ticked off. Next up US Xterra Champs. As I said the river swim is gnarly with varying depths and bid boulders making things interesting. Only being a 1200m swim and even including a 100m run halfway through, it was the perfect swim for me. I had a plan to try and swim with Josiah Middaugh who was 30 seconds ahead of me out of the water in Alabama. After a great swim I had a few seconds on Josiah and heard we were around 75-90 seconds down on the front group of Craig Evans, Braden Currie and Ben Collins. Game on. I was really looking forward to the bike course as I have confidence in my bike skills and was hoping I would be one of the fastest through the technical trails. Early on in the ride and I jumped on the Middaugh train which I felt was heading to the front. After only 10 minutes of riding we had moved into 3rd and 4th, passing Branden Rakita and Karsten Madson, but in the process losing my bottle and as it turned out maybe something else to... I have never been so high up so early on in a stacked field so I was feeling pretty amped and was loving the experience. Josiah is a super strong rider but I felt I had the edge on the descents so I was able to close any gap he opened going up the hill. About 20 minutes in we made our way to the front, catching Braden and Craig. After a few minutes following them, which I spent trying to recover after the hard effort behind Josiah, Josiah made a small attack. I looked at the other two as I knew that I could let Josiah go and hopefully catch him on the next track. Sure enough Braden took off in pursuit with myself and Craig following. Braden made a mistake up a hill named Stairway to Heaven (really steep and technical) and myself and Craig continued the chase of Josiah. After the drink station I managed to get into the next singletrack section first and took off after Josiah. I shook Craig and Braden and after the first of two laps came through in 2nd, less then 10 seconds behind Josiah. I was confident that if I kept riding with Josiah that I would have a decent gap heading onto the run to hold Braden off. A huge thanks must go to the two Evans family I stayed with in Nashville and Richmond. They made things so easy and enjoyable for me and I can't thank them enough for their hospitality! After a short break from training after Xterra Tahiti I had a few days training at home before heading to the US to compete in the America Xterra Tour. First up was the Xterra South East Champs which was also doubling as the USAT Off Road Triathlon Champs. I arrived late on the Monday night after a pretty long trip from Rotorua consisting of four flights and around 24 hours of travelling. It's fair to say I was pretty smashed by the time I got there, and combined with the 17 hour time zone change (essentially seven hours in front of NZ time) it meant a few late nights early on. I was very lucky to have an awesome homestay family with the Montgomery family who live very close to the Oak Mountain State park - where the race is based. I had a few days before the race to check out the course and I liked what I saw! The water was a perfect temperature in a nice lake, the bike course was on single track infested with rocks and roots. Apart from one long climb it was very undulating without any real sustained efforts. Onto the run and it feels similar to the ride, perhaps with a few more steeper undulations. After being sent off by the loudest cannon I have ever heard (my ears were ringing for the first 750m lap) we were away. I had a good first 100m but then I could tell I was in for a tough day. I was already gasping for air only two minutes in and was starting to drift off the main pack. Over the next two laps they slowly pulled further and further away so I knew I was facing a large deficit out of the water. Onto the bike and I was joined by Chris Ganter. He was super strong over the first 500m of the bike so he led into the single track. We both quickly realised that I was slightly faster on the technical stuff so he let me through to set the pace and start pulling some people back, with Chris sprinting back up on every straight section. We managed to slowly move up the field for the first 30 minutes of the bike and I was starting to feel more comfortable on the bike until we hit the steady 12-13 minute climb. After a couple of minutes Chris attacked and I had absolutely nothing when I tried to go with him. I tried to conserve some energy and use it for the last third of the bike which I knew would suit me best. After the climb we hit the long descent going down the infamous 'Blood Rock' section and through to Rattlesnake ridge. I managed to catch a few people on the descent and learned I had moved into 6th. With 10 minutes left to ride I started to see I was catching Branden Rakita. After a few minutes of chasing I made my way over to him and came into T2 with a 10 second lead...something that would prove crucial later on. I went out as hard as I could early on to try and stop Branden getting across and running with me. After the first 5km lap I had managed to hold the 10 sec gap but I knew if I faltered at all that Branden was there to pounce. It was starting to warm up during the second lap so I was conscious of getting my GU gels and fluids in and keeping my carbohydrate and sodium levels as high as possible. Over the second lap I started to slowly pull away from Branden and with two kilometres left it was pretty relieving that I couldn't see him over my shoulder. I didn't let up to much over the closing kilometres and was stoked to cross the line in 5th, a result I definitely would have taken at the start of the race with how I was feeling. All in all it's a solid start to my US campaign and I can't wait to race the Xterra East Champs in downtown Richmond, Virginia in four weeks time. Right now I have another few weeks here training in Alabama before heading further east. My last race of my first block of racing for the year was Xterra Tahiti. I was feeling pretty tired after racing Xterra New Zealand and then Xterra Asia Pacific Champs on consecutive weekends before this one. Coupled with the travel, when race day came my body felt like it should be relaxing in the humid 30 degree temperatures on the beach, rather than lining up to compete in one of the hardest Xterra races I was about to experience! I was there to compete though so I had to get my head space right before I could enjoy a break after this race. A couple of top French athletes, Tony Moulai and Brice Daubard, had made the trip from France to be part of this race so I knew it would be another hard battle. Race morning was a little different than usual with a one hour bus ride with all the other athletes taking us from downtown Papeete to the race site. This race is different to most, being a point to point from one side to the other, and with the hills on the bike course (having to pass one of the highest points on the Island) and the hot and humid temperature, it made for a brutal race. I wasn't feeling very good on the bus trip int he morning so I was stoked to get to the start of the race, put my gear in transition and get the day underway. Two 750m laps in the beautiful Tahiti ocean greeted us first. I had a good swim, coming out just behind fellow New Zealander Matt Backler, who like me was a bit tired from the previous weekends racing. After a very slow transition caused by not being mentally switched on, I was onto the bike in 4th overall chasing Matt, Tony and Brice. I caught Matt after 5km and moved into 3rd just before the brutal climbing began. The climbs on the course were ridiculous with parts of the road reaching grades of over 25 degrees. I never thought I would say I would have to walk up concrete climbs, but today I conceded defeat. After the first time walking though I was keen to avoid it again as my calf's hurt so much that I would rather try and grind a cadence of under 50. After what seemed like an eternity climbing (only an hour), I finally caught a glimpse of Tony ahead. I didn't catch him by the top of the climb but managed to catch and drop him early on in the steep descent down the other side of the Island. With 10 minutes of riding left I finally saw Bride on an out and back section, guessing he had around two minutes lead. He held that into T2 as I managed to extend my lead over Tony and Matt, hitting the run with a 5 min buffer (although I had no idea of this until the end). I wasn't keen to hang around on the run with Tony being one of the best runners in ITU triathlon. The run was awesome with 10 river crossings giving me some relief from the hot temperature. It also added a technical element that I would love to see in more Xterra races. I might even go as far to say this is the best Xterra run I have done with rivers, technical single track, steep climbs, gravel roads and beautiful scenery always giving you something to think about. My body wasn't feeling that great on the run though so after a tough mental battle I was very relieved to see the finish line and cross it in 2nd, ready to put my feet up and rest! After Xterra New Zealand I had a few days to recover at home before taking one of the last Air New Zealand flights from Rotorua to Sydney. It will be sad to see this service go! The Xterra Asia Pacific Champs are located down in Jervis Bay, a three hour drive south of Sydney. I was travelling with a good mate and fellow pro athlete Josh Kenyon which made for an entertaining and awesome trip. After a few days of checking out the course and relaxing we were ready to go. Again it was another mud fest on the bike which always makes things interesting! There was a star studded field this year with the likes of Conrad Stoltz, Braden Currie, Ben Allen and Courtney Atkinson racing, alongside a host of other pros. I was feeling good after Xterra NZ so was looking forward to another hard day of racing against the best. Race day was a warm one and made standing on the beach for the start a bit uncomfortable in wetsuits. We were underway soon enough though and straight away the pace was on. I managed to find a good group to swim with including Ironman athlete Caroline Steffen, but still lost 2 minutes to Ben and Courtney and 90 seconds to Braden and Conrad. Onto the bike and I felt pretty good so pushed hard to make up lost time. The bike was a long one with a small amount of climbing which made for one unrelenting ride. The single track sections were cool but in short supply. With over 20km of gravel road riding it suited the bigger powerful guys but I am getting better at that stuff and quickly moved into 5th. Nearly at the end of the ride I heard I was gaining on Courtney and managed to catch and pass hi, with 4km to go, wanting to put as much time into him as I could as I know he is another great runner. I came off the bike 4th and was excited to see Ben Allen was only 30 seconds ahead. I set out of T2 quickly hoping to pull him back and after three kilometres I made the catch! I moved into 3rd and managed to put a bit of distance between myself and Ben but still 2 minutes down on Conrad. Courtney was flying behind and halfway through the second lap he passed me disappearing into the distance and eventually catching and passing Conrad for 2nd. I kept pushing right to the end but just came up short of Conrad and settled for 4th, really stoked about how my day had gone and the experience of racing amongst the top guys for the podium spots. No time for a rest just yet though as I am heading home and then quickly heading over to Tahiti for the first ever Xterra Tahiti next weekend. The start of a three week block of racing was my hometown race, Xterra NZ. This is always the race I look forward to the most each year, racing on a course I know so well and in front of home town support! I was feeling pretty good about things this year and hoping to improve on my 3rd placings over the last two years, but with guys like Braden Currie racing, I knew it would be a very hard fought race. Onto the run and I felt good but not great. Braden is an amazing runner and I knew I would have to have a phenomenal run to hold him off. After 3.5km I could hear the dreaded footsteps behind me and knew he was right there. I held tough though and after the first 5.5km lap he was only 10 sec up. Sam was having a great run though and was pulling time back on both of us. Eight kilometres into the run and he caught me, running past like a man on a mission about to break the run course record. I must admit my head sunk a little after going from 1st to 3rd on the run but I still had another few km to run and you never know what can happen in the last part of a race. I managed to hold onto 3rd, having my fastest run at the race and the fastest mountain bike split overall but it wasn't quite enough to hold off Braden who took the win and Sam who placed 2nd. I'm already looking forward to next year and hoping to continue my good form into the Xterra Asia-Pacific Champs next weekend!